With the upcoming festive season in the city, Madh-Marve based ‘The Resort’ adds on to the spirit and celebration of the festivity and invites everyone to relish on yummy delectable Chinese food all served in one platter. Treat yourself to a delightful meal accompanied by the stunning view of the beach. Indulge yourself in sweet and spicy tasty cuisines like Chicken Pepper Blast, Chicken Kharchow, and yummy Pudina fish for the non-vegetarian lovers. 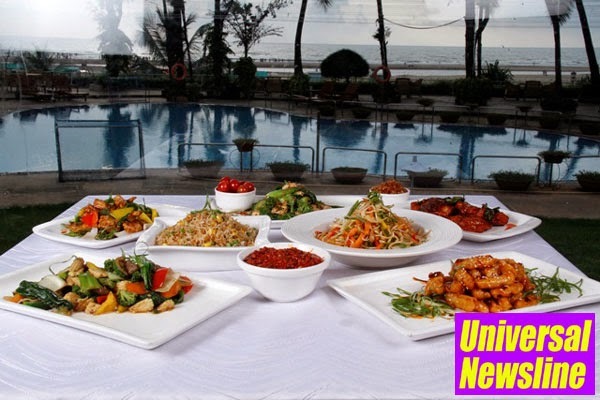 The menu also offers vegetarian food like Stir Fried Vegetables, paneer in Hot Garlic Sauce, Cauliflower Manchurian and many more. For those with a sweet- tooth, mouth- watering desserts like Saviyan Kheer, sesame banana fritters and assorted pastries are also served.